While few people actually relish thinking about the details of the inheritance they will leave their family when they die, most do spend at least some time wondering how to make sure that things will go well among their heirs. We’ve all heard of families where relationships were harmed, sometimes beyond repair, as the result of how this important question was dealt with. If you do not want to be one of THOSE families, please read on. Also note that these are five things everyone should know and understand, but that doesn’t make them an exhaustive list of important considerations, or even a “top 5 list” for every family situation. This blog should never substitute for legal advice for your unique family situation. You don’t have to have a net worth in the gazillions to be affected by the potential negative fallout from poor decisions in this area. Siblings have been known to never speak to each other again as the result of parental decisions that were made that surprised everyone, even in cases where the inheritance barely covered the cost of the funeral. It should go without saying that every adult needs a will. Unfortunately, statistics show that many do not. Many people who don’t likely assume that they have plenty of time to take care of it, you know, “later”. There are cemetaries full of people who guessed wrong on the question of exactly when they were going to die. You need a will, and it really should be current. A good rule of thumb is to review it every five years. Rule 2: Make sure you have a legal will, no excuses! Now if you have your will in place and are thinking you are in the clear, well, sorry, we still have (at least) 3 more items here! You have decided to leave certain assets to certain people in a certain way, and it’s all written up legally in a will. 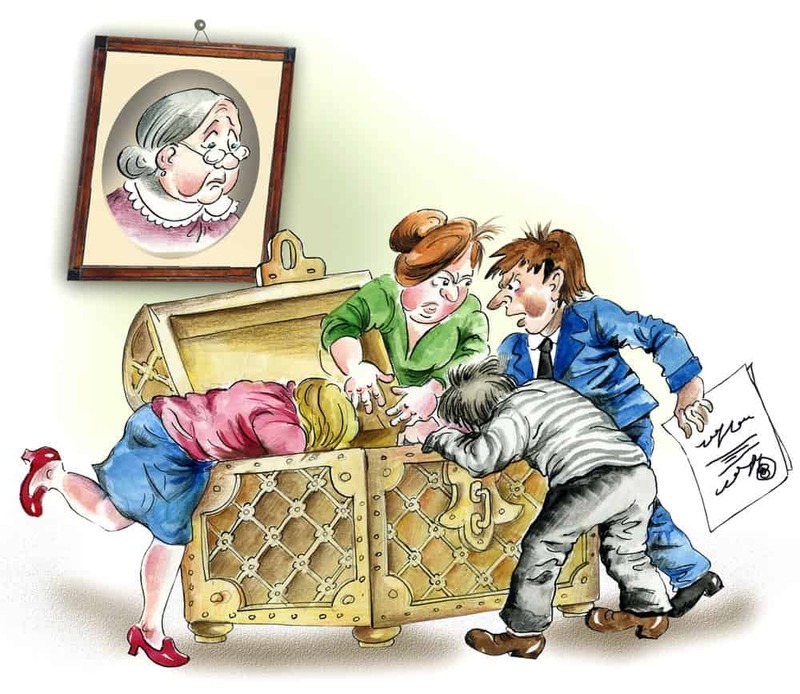 Here is the important question: do the people who will inherit your assets KNOW what they will be inheriting? At least some form of basic communication is absolutely essential. If you haven’t already done so, please make sure that everyone understands what is going to happen. If you can let them all know together, at the same time, even better. Letting them assume, and having different people understand different versions of it is a sure recipe for trouble. When a dispute goes into mediation, parties are brought together, and along with a neutral third party, they examine everyone’s interests and work towards a satisfactory conclusion. The idea of pre-mediating is to put the scenario on the table with the parties before it actually comes into play. The main point is that if you leave things to your heirs in the way you planned, AND that will cause problems after you are gone, why would you not want to re-adjust while you still can? If this idea scares you, then that is a sign that yours is actually precisely the kind of situation that could most benefit from this. I have heard Tom Deans (author of Willing Wisdom) speak several times. He describes the sound that many lawyers tell him they’ve heard from at least one surprised heir at the reading of many a will. It is difficult to convey in writing, but imagine a gasp with an audible “aaargh” or “euhhhh”. That surprised sound from any of your heirs is NOT what you should be going for. Rule 5: Let your family grieve and celebrate your life, not shake their heads in disbelief. If you know someone who should be thinking about these questions but may have been avoiding them, please feel free to forward this to them. You will both be glad you did. It’s All about Getting Started No, YOU Don’t Understand!